Celebrate the way you want to. Personalised cards for every occasion! Celebrate the way you want to. Personalised cards for every occasion! From weddings to Christmas, we’ve got your back. Because every occasion is unique, we've made our cards completely customisable. Start with a professional design, then change anything you like. 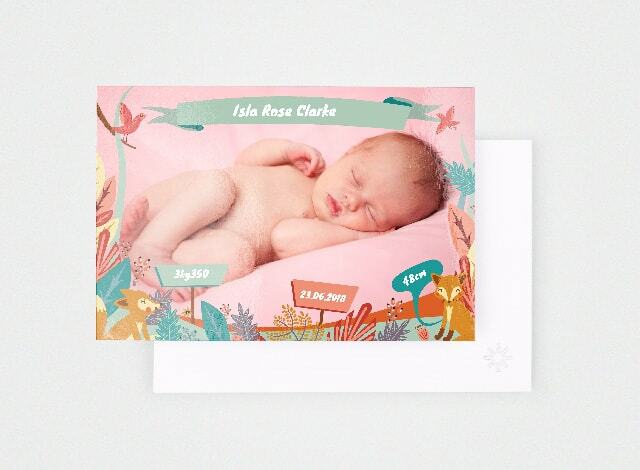 With our designs we've given you an idea of how your personalised card might look. The rest is up to you. Each design gives room for text: chop it, change it, move it, remove it. You're the boss. We've got everything covered. Change the background colour. Add frames. Choose from hundreds of pieces of clip art. Whatever you've got going on, we have something for it. With dozens of designs for all life's most important moments, we know you'll find what you need. Or, if you don't find what you need, you can start from scratch. Choose a blank card and build your design completely from the ground up. You'll have all the same options. Choose between premium card and photo print. Whatever the occasion, you’ll be able to pick what suits you best. Design a card to be flat or folded. 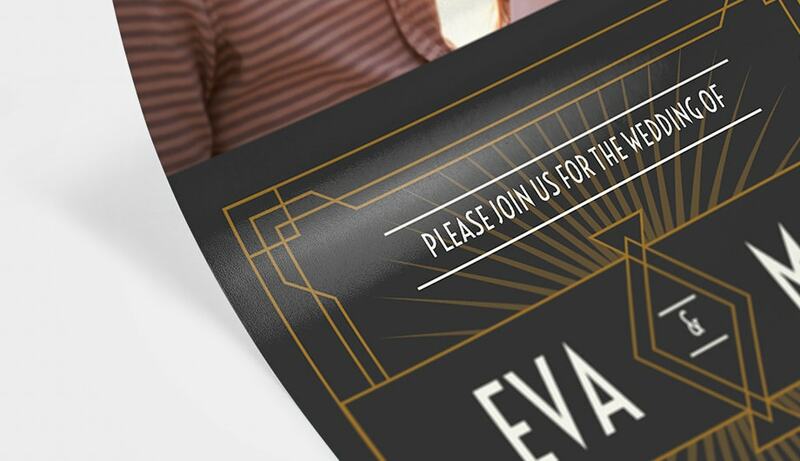 Your design will be printed on high quality paper, with a professional finish. Paper with a smooth, semi-matt finish. 235g/m2. Once you order, we aim to deliver your cards within 5-7 working days. The shipping costs are £ 3.49 regardless of how many sets of cards you order. I have always been pleased with goods/service from Bonus Print. Very easy to use design tool. Look great. But charge is25% to much. Uploading photos is really simple as is designing the cards and there are so many options to choose from. The quality of the cards is really good and delivery is also impressive. Highly recommended! 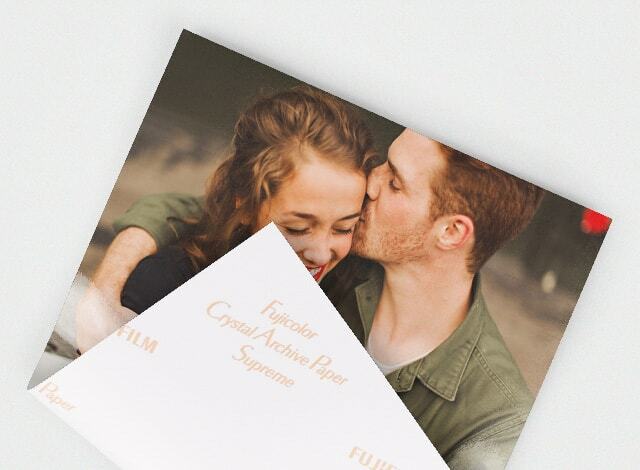 These personalised photo cards from bonusprint will make every enthusiastic amateur the King or Queen of card design. Add as many pictures as you like from your hard drive or cloud storage into the personalised card maker, and embellish it with colourful borders, text highlights or any design feature that your heart desires. 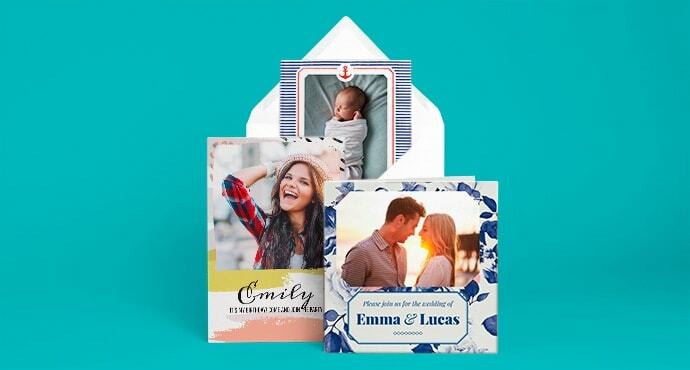 Photo cards can be suitable as invitations for a child's birthday party, a special baby announcement or any other event that is important to you. 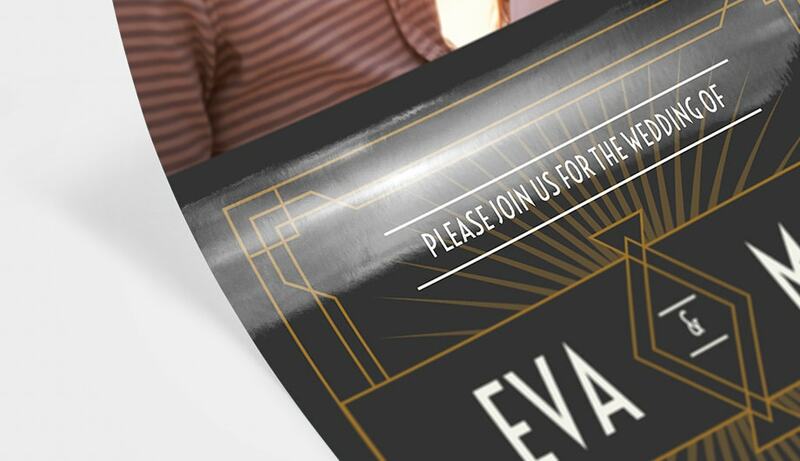 With personalised photo cards you can be sure that friends will RSVP straight away, if you have put that much care into designing the invitation, they will know that the party itself is going to be unmissable. 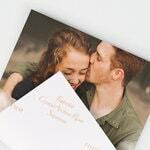 Photo upload cards are easy to make and take all of the uncertainty out of leaving somebody else in charge of your big day. There is no better way to show you care than with personalised picture cards from bonusprint. 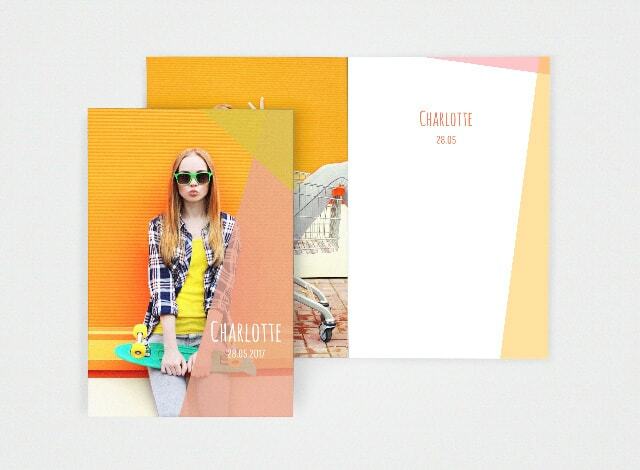 Make your own photo cards using the easy but sophisticated design app. 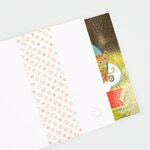 You can either choose from one of the existing templates or, if you prefer to, you can make your own card from scratch; with a blank canvass, your craft and skill will be set free to explore. 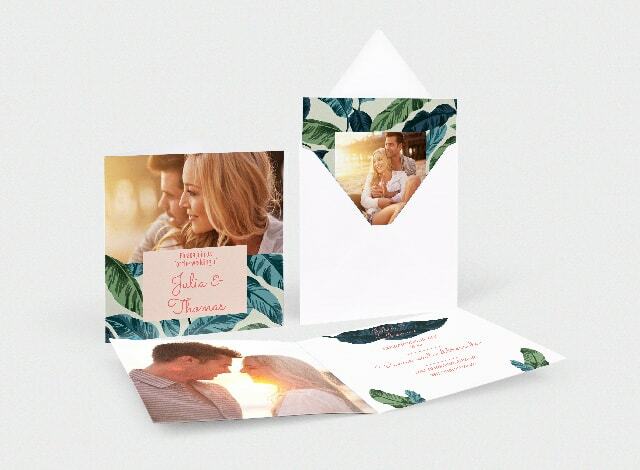 The online card maker can be tailored to suit whatever your needs from a sombre, serious tone to all the glitz and glamour required for the wedding of the year. The photo card maker can be set to portrait or landscape mode, depending on your preference so it has never been more rewarding to make your own photo cards. 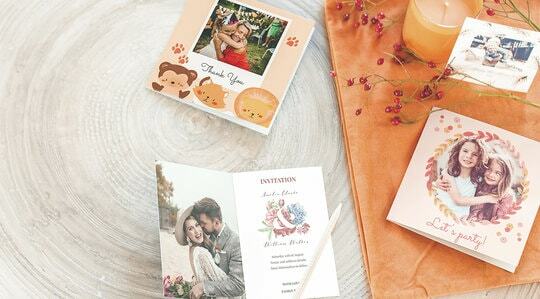 Besides creating your own wedding cards, birthday invitations or communion invitations, you can also create your own greeting cards. Create for example greeting cards for friends and family to wish them a Merry Christmas and a Happy New Year or send a greeting card with your favourite holiday photo to say hi. Read more about how to turn your favourite holiday photo into a greeting cards You can use your own photo, either to use on one of our pre designs or when you create a greeting card from scratch. Sending a greeting card is different for every occasion and needs it's own tone of voice. You can take a look at our example greetings cards for inspiration. We have many different styles and designs. Did you find the cards that you like? 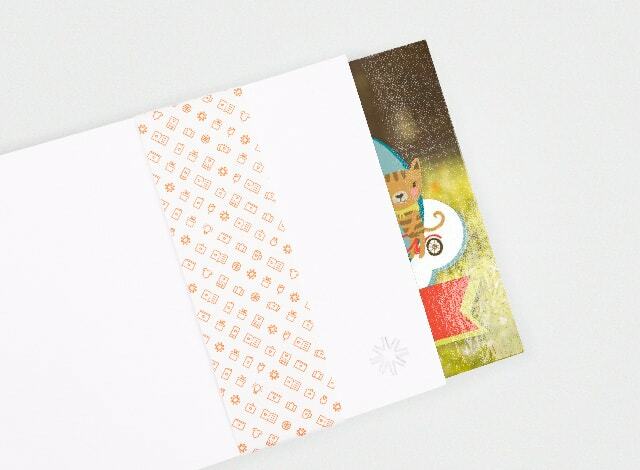 Then start creating your card with our greeting cards program to create your unique card. How sophisticated or wacky you want the card design to be is up to you; since this interface allows you to design your own card, the only limitation is your own imagination. Have fun, try out a few different ideas and see which ones work best. Even if you have no prior experience, we’re sure you’ll find it so easy to create your own card that you’ll never want to go back to simply buying ready-made cards again. bonusprint's online card design tool contains every feature that home enthusiasts are familiar with from standard software, as well as special techniques, free clip art and a range of font manipulation devices. 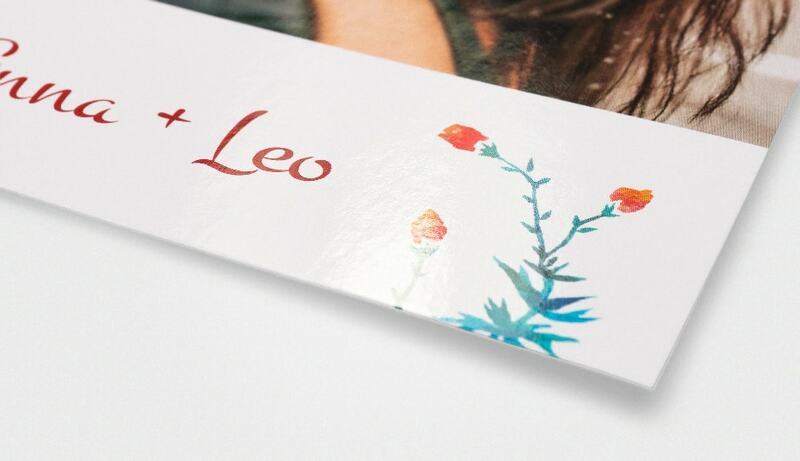 You can choose between a flat and folded photo card, and a gloss, matt or extra matt finish, safe in the knowledge that no matter what you choose the materials and techniques we use will be of the very highest quality. We’ve made the design process as instinctive as possible. 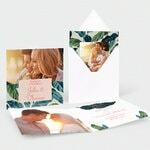 This means that your photo card design is unique in the true meaning of the word, and your friends will love it too when their invitation arrives. This way it is so much better than just posting a boring old facebook event. At bonusprint you can order as few or as many copies as you will need, but it is always a good idea to have a few spares, just in case. Bulk orders or packs of personalised cards are available at a discount too. Bulk personalised cards are ideal for small businesses for sending out a Christmas card to customers or bulk photo cards can be kept in stock for your ongoing event schedule, just leave out the time and date specifics and put "Charity quiz night, the first Monday of each month" or whatever is appropriate, then they will never go out of date. At bonusprint you can buy a pack of personalised photo cards so you're never in danger of running out. Photo card printing is quick and easy. Smaller orders can be done at home, with this option, photo card printing can be finished with minimal turnaround, if time is of the essence. To print cards online just follow the simple instructions on your computer screen. If you print personalised cards, it may be worth investing in some good quality paper, any design looks better on robust card than flimsy paper. It is simple to design and print your own cards online with the online generator from bonusprint, if you do come into trouble, friendly customer service will be able to help. Order personalised cards at albelli! 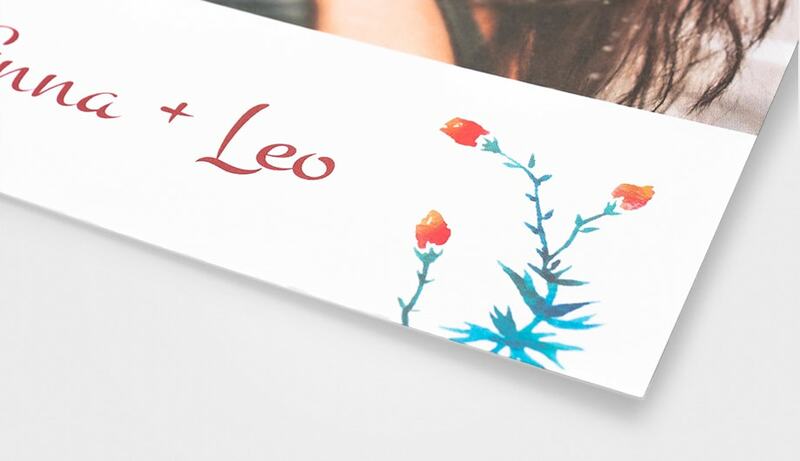 Order personalised cards at bonusprint and customer satisfaction is guaranteed, just click on the checkout link to order personalised cards when you are happy with the overall look. We take all the hassle out of your order of photo cards and you can buy photo cards with confidence here, after all they were designed by the world's best living artist: You.